Prince Frederick Lodge #142 is the only Lodge in Calvert County. As its name implies, it meets in Prince Frederick, the County seat of Calvert County. A dispensation was issued by Grand Master John Coats on November 18, 1868, and the Charter was granted at the Semi-Annual Communication May 10, 1869. The first officers were John Thomas Bond, Worshipful Master; Charles T. Somerville, Senior Warden; and James H. Frazier, Junior Warden. Many early members came from prominent families of this ancient County, such as Sterling Smith, Thomas King, John Bond, Jr., Col. Somerville Sollers, Henry Williams, John W. Fowler, John A. Cox, James S. Chatterton, James W. Hardesty, John T. Wilkinson, Frisby F. Freeland, James T. Briscoe and James L. Hutchins. In those days of but few roads, travel was mostly by water, and the early history of the Lodge was somewhat chequered. The Charter was forfeited in 1878 for non-payment of dues but was restored in 1880. In 1883, the town of Prince Frederick was ravaged by fire and the Court House and many other buildings were destroyed. Prince Frederick Lodge #142 lost all its records. The Charter was again forfeited in 1885 but was restored when the back dues were paid to the Grand Lodge. The Lodge was not represented at the Annual Communication of the Grand Lodge in 1887, but thereafter it began to gain strength. A period of steady growth set in and by 1950 the membership had increased to 159. 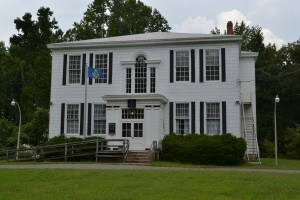 Among the Masters of Prince Frederick Lodge #142 may be mentioned Captain Joseph Lore of Solomons Island, Halvor H. Hellen, also of Solomons, and Arthur W. Dowell, a leading lawyer of Prince Frederick.  In 1952 Brother Dowell was elected Deputy Grand Master of Masons in Maryland. After serving as Deputy Grand Master for two years, he was elected Grand Master at the November 1954 Communication and occupied that distinguished position in 1955 and 1956. Grand Master Dowell was the first Grand Master to come from Calvert County. During his Regime he and the Grand Lodge Officers laid the cornerstone of the Methodist Church in Prince Frederick. He was a member of that Church and it has been stated that he was the first Grand Master to lay the cornerstone of his own Church. The 100th Anniversary of Prince Frederick Lodge took place on May 10, 1969. The officers then were: Carl Norman Johnson, Worshipful Master; Norman W. Broyles, Senior Warden; Joseph S. Dodson, Junior Warden; Elliot G. Sheckells, Secretary; and Julius O. Bowen, Treasurer. The total membership then was 210. With the opening up of the County by the building of modern roads, the County has been gaining many new residents. Likewise, the Lodge has been experiencing a growth in membership and it is evident that Prince Frederick Lodge #142 has become one of the most important Lodges of Southern Maryland. In the Bicentennial Year 1976 Prince Frederick Lodge had 213 members. The officers were; John R. Smith, Worshipful Master; James A. Lofton, Senior Warden; John W. Hall, Junior Warden; Elliot G. Sheckells, Secretary; and Julius O. Bowen, Treasurer. Among Members well known in Calvert County may be mentioned Joseph P. Lore, William E. Lusby, Julius Bowen, Perry G. Bowen, Raymond G. Trott, William Dorsey Gray, Jr., Arthur W. Dowell, Jr., Page P. Jett, M.D. and H. Gordon Trueman. Brother Arthur W. Dowell was born November 2nd, 1889, in Prince Frederick, Maryland, the son of the late George w. Dowell and Martha E. Dowell. He received his education in the public schools of Calvert County, Baltimore City College, Johns Hopkins University and the University of Maryland School Of Law. Upon being admitted to the Maryland Bar in 1911, he entered upon the practice of law in his native county of Calvert. He was elected to the Maryland Legislature in 1917, and in 1919 elected State’s Attorney for Calvert County, which office by reelection he held continuously until 1955. He is a Director of County Trust Company of Maryland, Chairman of the board of Prince Frederick Bank of that company, and President of The Mutual Fire Insurance Company in Calvert County. He was a Member of Trinity Methodist Church. In 1917 Brother Dowell was married to Miss Lucretia A. Hilcken of New York. They have one son, Arthur W. Dowell, Jr.
Mrs. Dowell and he reside in Prince Frederick Maryland. Most Worshipful Grand Master Dowell’s Masonic record dates from his raising in Prince Frederick Lodge #142, on April 19th, 1945. He was installed as Worshipful Master of his Lodge ion 1949. He was appointed Right Worshipful Grand Marshall by Past Grand Master Jacob S. New in 1950, and in November, 1952 was appointed Grand Representative of the Grand Lodge of the District of Columbia. He was elected Right Worshipful Deputy Grand Master of the Grand Lodge of Ancient Free and Accepted Masons of Maryland at the Annual Communication of the Grand Lodge in November, 1952. He was President of the Past Master’s Association of Baltimore City in 1953 and 1954; and is a member of Baltimore Forest #45, Tall Cedars of Lebanon and Prince Frederick Chapter #104, Order of the Eastern Star (O.E.S). He was elected Most Worshipful Grand Master of Masons in Maryland on November 17th, 1954. Bro. Arthur W. Dowell was the first Grand Master of Masons in Maryland to be elected from Calvert County. He was also the third Grand Master to come from Southern Maryland, composed of the five Counties of St. Mary’s, Calvert, Charles, Anne Arundel and Prince George’s. Our current Temple was built in 1921 for the purpose of being Prince Fredericks first public high school, the building was officially received from the contractor by The Board of Education on December 16, 1921. 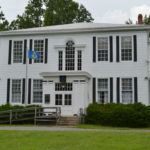 The building served as the high school for a little more than 10 years before it was realized the community was outgrowing it. A new high school was built and the building became the elementary school which it served as such for quite some time afterwards. In 1950 the Prince Frederick #142 Holding Corporation purchased the Building/ property and on November 1st of that year our Brothers began renovating the building to fit our purpose. Two major renovations were the Lodge room and the Kitchen, about 90% of the work was done by the Brethren under the supervision of Brother Bill Rekar, Brother Charles Wallace was the Worshipful Master at that time. Then on April 20, 1951 a special communication of the Grand Lodge of Maryland was held at Prince Frederick, MD, for the purpose of dedicating the Masonic Temple of Prince Frederick Lodge # 142. The Grand Lodge was opened in ample form by the Most Worshipful Grand Master Jacob S. New with the Grand Lodge Officers at their stations. On this occasion Bro. Martin H. Kinsinger acted as Grand Treasurer, Arthur C. Bushey as Grand Chaplain and George S. Riley as Junior Grand Steward. Past Grand Masters Harry B. Wright, Harry L. Robinson and Harry O. Schroeder also were present, as was Bro. Arthur W. Dowell, a Past Master of Prince Frederick Lodge # 142, later to become Grand Master in 1955 – 1956. The Dedicatory Services were performed in due and ancient form by Grand Master New and the officers. At the conclusion of the services the Grand Master congratulated the members of Prince Frederick Lodge #142 on their fine new Temple and then closed the Lodge in ample form. Brother Julius O. Bowen was the 1st Worshipful Master in our current Temple.